There are many different RPGs that cater to the world of organised crime. However, there are not many resources on the net for these games. This is my little contribution to 'this thing of ours'; character sheets, game listing and links, adventures and other tasty titbits of information. So what is it about role playing mobsters that is so great? Power, respect, influence, what you want when you want it. That is if you are high enough up the ladder. As the above plea has received no regard (I get no regard I tells ya!) I am now looking for other information. I have been running a gangster chronicle a-la Grand Theft Auto cities. So I though more information on other types of mafia, other than la cosa nostra might be helpful. Send anything you have or know to me! Thanks. So, what does this page got on it anyways? What products were released for these games? What is your favourite Mob RPG Poll? This page does not have too many bells and whistles, but it will have updates when I find new stuff to put on, or when new games are released. If you have any contributions you would like to make to this site, the Don would like to thank you and asks that you pass all information through a secure line to his consigliore at this email. Copyrights are in no way challenged in this web site and the rightful owners of copyright material have been addressed where appropriate. 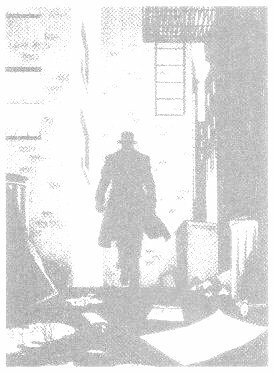 Gangbusters is copyright of TSR, World of Darkness: Mafia, WoD, Clanbook: Giovanni, Vampire: The Masquerade and Destiny's Price are copyright of White Wolf, Noir is copyright of Archon Gaming, Gangster! is copyright of Fantasy Games Unlimited, Mafia d20 RPG is copyright of Citizen Games, Mean Streets and Dime Heroes are copyright of Deep 7, Mobsters is copyright of Burger Games, Fly from Evil is copyright of Cumberland Games, GURPS is copyright of Steve Jackson Games, Palladium and Nightbane are copyright of Palladium Books, Ghost Dog: Way of the Samurai is copyright of Guardians of Order, Justice Inc is copyright of Hero Games, Adventure is copyright of White Wolf, Call of Cthulhu is copyright of Chaosium and d20 version is copyright of Wizards of the Coast, Fudge is copyright of Grey Ghost Games, Haven: City of Violence and Ganglands are copyright of LPJ Design, Rolemaster and Pulp Adventures are copyright of Iron Crown Enterprises, Ganglands Arena by Aaron Turpen, Stray Bullet by Andreas Johansson, FERpg and Mobhits are copyright of Mystic Ages Online, Cyberpunk 2020 is copyright of R.Talisorian Games, Shadowrun is copyright of FASA, Godfather is copyright of Pagoda Games, Vigilance and Darkness and Light are copyright of Vigilance Press, Pulp Era is copyright of James Carpio & Green Street Games, Fuzion Jazz Pulp is copyright of Dany St-Pierre, Bloodshadows is copyright of West End Games, Two-Fisted Tales is copyright Matt Stevens, Vendetta is copyright of Vendetta Simulations, It's A Crime is copyright of KJC Games. Terms such as the Mob, the Mafia, La Cosa Nostra, Gangsters, Mobster, Mafiosi and Wise Guy are used throughout this web site. No offence is intended to anyone in any way shape or form. Last update: Sunday, 30th November 2003. I've seen everything... what now?